Subaru Repair in Boulder by Master Mechanics. Book an Appointment Today by Calling (303) 449-8949. 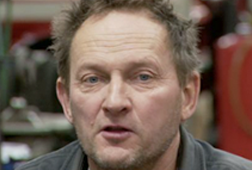 Ask About A Free Initial Auto Repair Assessment. Safety. Reliability. Fuel Efficiency. Congratulations! Your Subaru makes the grade! Especially when it comes to navigating the terrain and adjusting to weather conditions in Boulder, Colorado. We know you rely on your prized possession to perform best given the mountainous and rough road landscape. After all safety and security of you and your passengers is top priority, right? Known for its superior handling in the snow and rugged terrain, Subaru has a fine reputation as a great utilitarian 4WD and AWD vehicle. Its stylish features, detailing, mechanics and durability have made Subaru the most popular car sold in Colorado. Five of its models are in the Top 10! It’s the perfect fit for Boulder’s active lifestyle. FACT: Subaru’s U.S. sales reached 615,132 units in 2016, a 5.6% increase from the previous record of 582, 675 units sold in 2015. 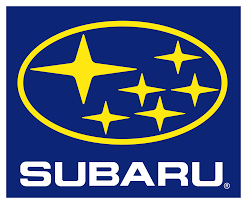 We’ve been Boulder’s Subaru repair gurus since 1987! Why trust us with your Subaru repair? • We offer state-of-the-art diagnostic tools to ensure optimal results. • We commit to quality Subaru repair by putting our words & actions into gear. A Subaru is tough, but it needs lovin’ too! Subaru Costs: Subaru Repairs can be costly, especially if the issue requires us to work on the timing belt and the clutch. We help you cut costs by prioritizing repairs that need immediate attention versus ones that can wait, by sourcing the best parts for the money and by providing the best technicians to work on your car. That’s what makes our prices VERY competitive. Subaru Parts: We generally use original equipment manufacturer (OEM) parts ONLY if they are cost-efficient. Otherwise, we’ll source an equally durable aftermarket part. We’ll help you save money this way! I’ve been taking my Subaru legacy to another shop for a while now. But when it started running rough and my current shop couldn’t get me in, a friend recommended Independent Motors. Sean told me how much it would be to diagnose and that he would need me to leave the car with him. When I told them that I need my car to pick up my kid Sean kindly offered a loaner car at no cost. The initial diagnostic charge was reduced and my bill was less than quoted when I came to pick up the car. Now my legacy is up to date and running great. It’s good to know there are still honest and dependable shops out there. Independent Motors rescued me from the other locally-owned Subaru mechanics in Boulder. They always did excellent work and treated me with respect when I brought in my ’99 Subaru Legacy Outback. These guys really know Subarus. 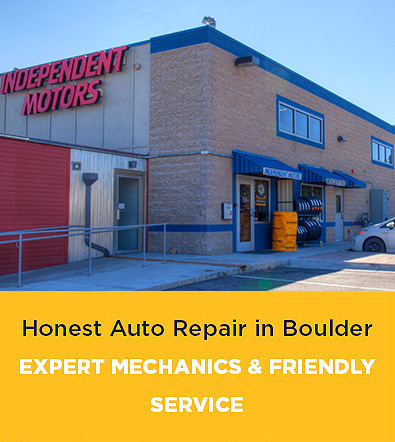 Independent Motors is the best option in Boulder for Subaru maintenance. They are friendly, honest, diligent, skilled, and thorough. We live in the mountains near Boulder, and we need our 2010 Outback to be safe and run well. Independent makes sure we’re covered on both of those bases. They have never used upselling or surprise charges; and always consult with us before doing any maintenance or ordering parts. We wouldn’t take our Subaru to anybody else in Boulder. Searching the Internet, combing through car guides and talking to Subaru car owners with differing opinions, information and advice can be frustrating. That’s why we’ve done the work for you! Take a peek at some of the links we found helpful. No need to thank us! Anything to make things easier for you! How often do I need to change oil in my Subaru? So what’s the deal with Subaru headgaskets? Subaru went through several changes to their motors over the years to try to address this issue largely without success. 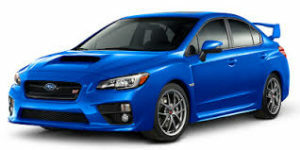 Starting in 2013 Subaru started a new generation of engines that are chain driven. This latest generation of engines seems to have dealt with the issue. Anything prior may have internal/external headgasket issues. The new engines, also known as the FB Series are however known for having oil consumption issues, but spare the costly service of having the timing belt replaced as they are a chain driven motor. Do I really need to buy 4 tires when I really only need one? Short answer…yes. This can be subjective though. For example, if the vehicle just got 4 tires installed and one was damaged in a manner that it could not be repaired then just replacing one tire would be ok. The rule of thumb on this issue is if there is more than 2/32” difference in tread depth between the tires then all 4 will need to be replaced. This is to avoid damage to the all-wheel drive system as all 4 tires need to be spinning at the same speed with the same diameter for this system to work properly; thus the need to replace all 4 tires. Should I get a Turbo model or not? This really depends on what you’re looking for and what your budget allows. Turbo charged cars are fun to drive, but this does come at a cost. Turbo charged models do have a higher up front cost and are more expensive to repair and maintain. The high under hood temperatures associated with turbo charged cars puts more wear and tear on under hood wires, hoses and the cooling system. Timely oil changes are imperative to owning a Turbo charged car as clean unoxidized oil is the life blood of a Turbo charger. Turbo charged Subarus also tend to put more wear and tear on the drive train and suspension bushings as well as going through tires at a faster rate due to the upped power factor. Why does my Subaru leak oil? The engine is a horizontally opposed design and so oil leaks are more apparent than conventional ones. Why does my Subaru have a burning smell? The engine is leaking oil or the CV Joints on the front axles are torn and leaking on the exhaust. Why does my Subaru make a growling noise on turns? The wheel bearings are worn. Why does my Subaru vibrate on acceleration? 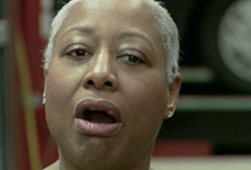 The exhaust heat shields are vibrating. Why does my Subaru stutter on acceleration? The spark plugs and or wires are worn. How do I change the transmission in my Subaru? Read our blog for everything you ever wanted to know about changing and repairing your Subaru transmission. Need a Subaru specialist to give it the care, service & repair it needs? There’s only one number to call for Subaru Repair in Boulder, CO! Call Independent Motors today at (303) 449-8949 for the best in Surbaru and Auto Repair in Boulder, CO. You’ll be glad you did!